Patience, understanding, and emotional support — afib is life-changing, so please understand its impact on us and be flexible with the changes in our lives. It may be as simple as overlooking our bruises if we're on Coumadin® or eating our Coumadin® diet with us, or may be more involved, such as watching over us. Help around the house — if we're on Coumadin, you can do things that we can't, such as carve meat or do yard work. Be our advocate at doctor visits, asking questions and taking down answers and instructions. Protect us — our founder says, "Since my afib caused clots and put me at high risk of a stroke, my family watched closely over me and traveled with me on business as it was too risky to travel by myself. And when I was in the hospital, my husband protected me from harm, such as when they painfully jostled me around when moving me for tests." Be our eyes, ears, and hands when we have surgery or a procedure — we're not invalids, but do need extra help getting things as we may not be able to reach or move around for the first few days, and you can listen for instructions while we're sedated and not aware enough for instructions to stick. Help us research to understand, manage, or cure our afib — see Patient and Caregiver Resources. 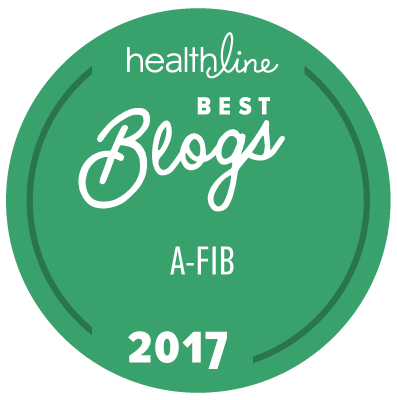 As afib patients, we need and value your emotional and physical support through this. But remember that caregiving is stressful, so take time for yourself as well. Being a caregiver when your loved one is hospitalized is a full-time job, but putting your own health and sanity in jeopardy doesn't help anyone. Find ways to take care of yourself, even under those circumstances. Our founder says, "For my surgery, we parked in the RV park on the hospital grounds so my husband could go back to the motorhome for meals, to rest in a comfortable chair, and to get a good night's sleep so that he could be my advocate during the day when everything happened." So, take time for yourself as well.